According to him, the newly developed computer could aid the global village, as they could "enhance retrieval, obsolesce mass library organization," and offer "speedily tailored data." In the mid-20th century, the scientific community and laypeople alike were buzzing with predictions of the future. Flying cars, neighborhoods on the moon, and lifespans reaching 150 years were all things that people believed would come about in the next few decades. Though we don’t have many (any) of those now, there was one prediction that did come true, that as ordinary as it is now, seemed wild back then. 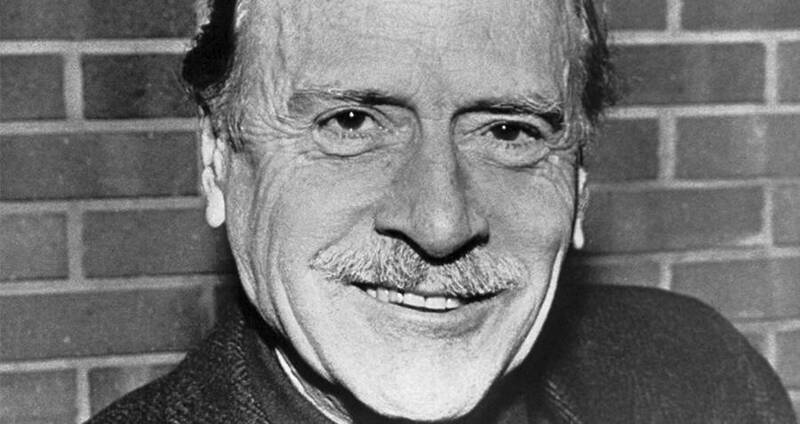 In 1962, the Canadian philosopher named Marshall McLuhan wrote a book called The Gutenberg Galaxy. In it, he suggested that there were four distinct eras of human history: the acoustic age, the literary age, the print age, and the electronic age. At that time, the electronic age was still in development, but McLuhan fleshed it out pretty well. He described the electronic age as being home to something called a “global village,” a place where information would be accessible and available to anyone through technology. Sound familiar? While we don’t call it the “global village” anymore, forgoing the term in favor of the shorter “internet,” the name is about the only thing that McLuhan got wrong about his prediction. “The new electronic interdependence recreates the world in the image of a global village,” he said in The Gutenberg Galaxy. “The next medium, whatever it is — it may be the extension of consciousness — will include television as its content, not as its environment, and will transform television into an art form,” he said. 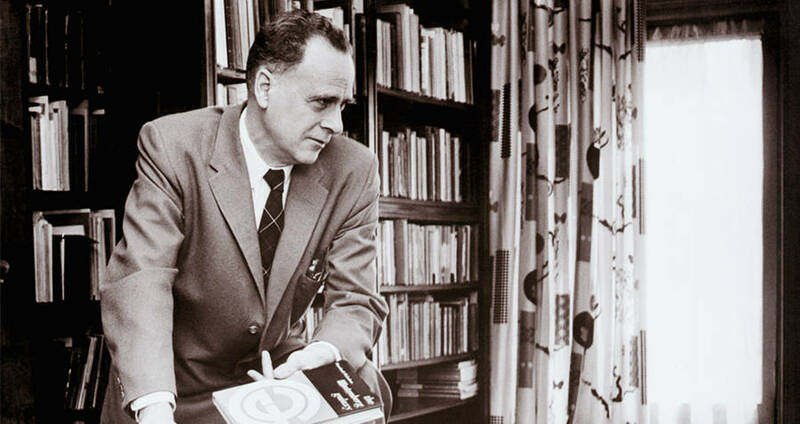 Marshall McLuhan in his study. In a later publication, titled Understanding Media, Marshall McLuhan further detailed his idea. As if predicting the internet weren’t enough, he took it a step further and predicted one of the most hot-button internet issues of the modern time – net neutrality. 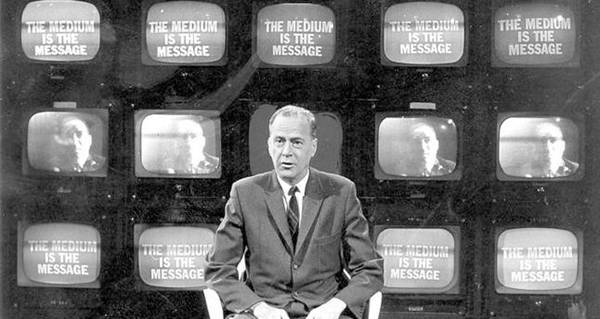 In Understanding Media McLuhan warned that “private manipulation” of the global village could signal the end of free media. He claimed that by surrendering the global village to corporations, the rights of the people would be swiftly extinguished. He also warned against the power of the global village, insisting that through it all there must be a balance between “message and medium.” Basically, he was saying that no one conglomerate should be in charge of both. For a man who had never lived in a world with net neutrality, the man sure knew a thing or two about its implications. Unfortunately for McLuhan, he never got to see his predictions come to life. The first inklings of the internet, a rudimentary system of connected networks, started in 1983, three years after Marshall McLuhan died. Enjoy this article on Marshall McLuhan’s global village concept? Next, check out what the internet actually does to your brain. Then, read everything you need to know about net neutrality.